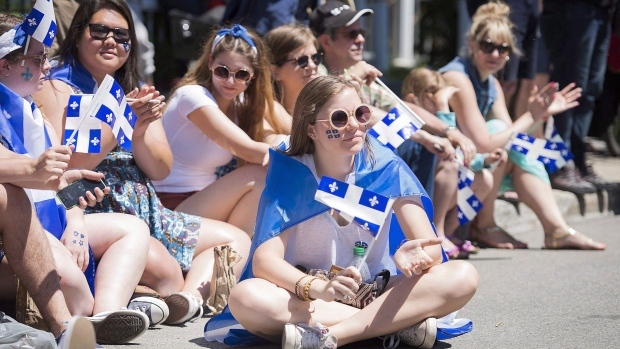 Quebec's population grew by more than one percent last year according to the Quebec Institute of Statistics. That is a lower increase than the Canadian average, and a drop in growth compared to previous years. According to the Quebec Institute of Statistics, about 83,900 babies were born in Quebec in 2017, which is three percent lower than the year before. Quebec's fertility rate, which was slightly above the Canadian average for a decade, is now below that average. It's also well below the point at which the population can maintain its size. Last year about 52,400 immigrated to Quebec from other countries and provinces, but lost 8,900 to other provinces and on top of that about 6,500 Quebec residents left for other provinces. That means overall, immigrants added 37,000 people to Quebec's population, which is a lower proportional increase than the Canadian average. As Quebec's population ages more people are dying each year. In 2017, 66,300 passed away. The end result is that the proportion of Quebecers in Canada has dropped to 22.6 percent and will likely drop even more in the years to come. The annual report from the Quebec Institute of Statistics also shows that about 22,900 weddings took place in 2017, and that the average age of newlyweds continues to increase.